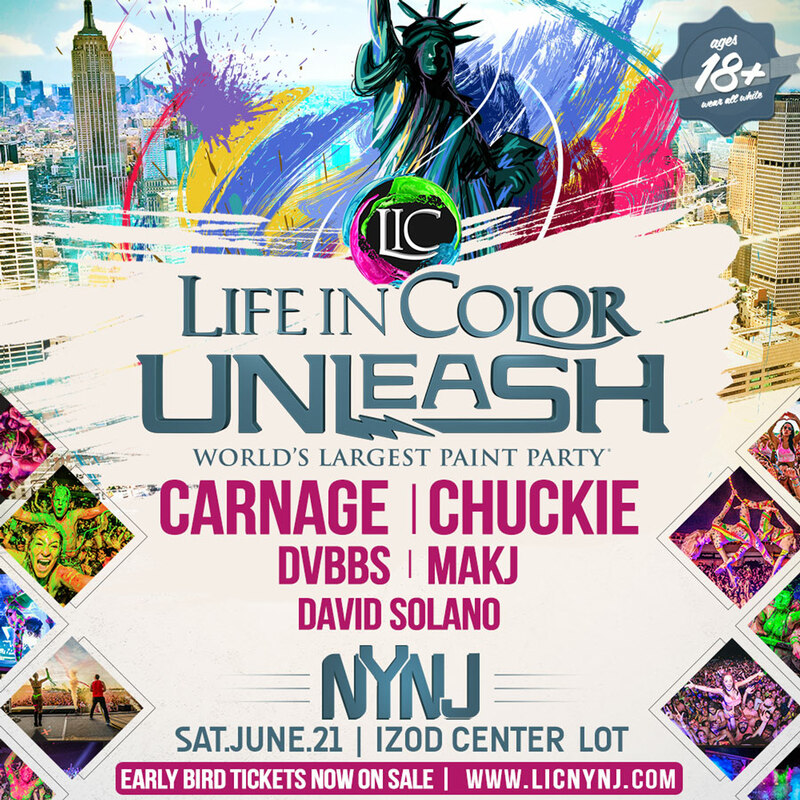 Life in Color announced a huge event that is taking place at the IZOD Center in the Meadowlands. This is an event that is in New Jersey, but just like the New York Jets and New York Giants, this is for New Yorkers as well. The presale sold out just about right away and now tickets are $80. The lineup for this event is absolutely disgusting! You have Carnage, Chuckie, David Solano, DVBBS, and MAKJ. This is going to be ridiculous! Definitely get on this event!